At DC Executive Car Service, we cater for personal car, limo service and business transportation that demands exceptional, professional, and dependable limo service for busy executives who demand the best while enjoying our low business rates. We will take care of all your transportation needs in DC, VA and MD. Let our experienced staff and friendly knowledgeable drivers provide relaxing, stress-free travel for you and your business associates in Washington DC. Our chauffeurs are professionally trained and always committed to making your DC Executive Car Service experience the best it can possibly be. Looking for a reliable and affordable DC Car Service? Look no further, our executive transportation services, come with all the amenities and comfort desired at no additional costs, book your Washington dc executive car services today and get the service and savings you deserve. carservicedc.com realizes the importance of your ground transportation demands. For years, our main goal is to offer you quality transportation services to surpass your expectations. We have created a service to give each client peace of mind in knowing that, our priority is your satisfaction. DC Car Service provides an extensive selection of luxury transportation, executive car transfer services dc and limo services to corporate clients for your convenience, so call today and book your ride and don’t forget to ask about our executive car service rates, specials and business discounts for frequent travelers. A limos service can help you meet your personal and business needs. Gone are the days when limo services were reserved with special occasions such as weddings, night outs, birthday parties, city tours, day trips, concerts, proms, etc. Nowadays, limo services are hired for day to day business and corporate affairs, such as client meetings and special events, holidays, airport transfers, shopping, running chores around the city. Limousine services add a touch of class and comfort to your commute. Executive Car Service in Washington, such as DC Executive Car Service, are increasingly becoming popular as they help corporate and holiday travelers commute to the capital city in greater style, comfort and luxury. As opposed to ordinary car rentals, cabs and ride sharing, arriving in an executive car service will help you create a favorable first impression in high powered meetings and conventions. It will help your business look professional, financially established and rock solid to those associates, partners, investors, clients whom you might be facilitating in terms of commute to business meetings, excursions, informal get together, sightseeing and special night in the city town through limos service in Washington. Traffic congestions, car breakdowns and ride sharing with multiple passengers can lead to delays. Since businesses, clients and partners greatly value punctuality, so hiring an executive car service is guarantee to yourself and to your clients that you will reach your destination on time. Being able to reach your destination on time will not only create a favourable impression on your clients but will also help you maximize your efficiency. You will be able to get more done in lesser time if you opt for an executive car service instead of drive yourself or hire a cab. The time and energy you can save in traveling can be utilized in prepping up presentations, preparing for the meeting and sending emails and making calls. Since your information gets stored in an executive car service’s database, you don’t have to volunteer the same kind of information every time you call for executive car and will get speedier service. Due to back to back meetings, schedules of corporate executives are usually hectic and unpredictable. Through executive car service, executive travelers can book ground transportation from any location, at any time, accommodate change in plan, schedules and detours. This way they are able to touch point with many clients irrespective of the distance. Using your own vehicle for work purpose can be costly in terms of the wear and tear that intensive corporate traveling often puts on a personal vehicle. Car breakdowns on the way to meetings are more likely and delays inevitable. However, companies providing executive ground transportation, service their cars regularly in order to keep them in optimal performing and pristine condition. Reaching the airport in the nick of time can cause considerable stress. Efficient limo airport services help you reach the airport ahead of time, such as 15 minutes prior, so that you have sufficient time to check in and get organized. This way you save the time you would otherwise spend in navigating the traffic, finding parking and paying parking fees. Getting stuck in the traffic or losing your way are all possibilities during commutes to the airport. However, limousine airport service providers are trained in establishing the most efficient route to the airport. This way they ensure that you are not caught in traffic and are able to reach the airport on time. Driving or chasing after taxis right before a big and much anticipated vacation can be stressful. A limousine airport service helps you kick back and commute to the airport in a relaxed mindset. A limos service often has entertainment features such as a complete entertainment system such as TV/DVD/CD, so you can watch a movie or listen to some relaxing music while traveling to your destination. Knowing that a chauffeur driven will be waiting for your arrival at your travel destination can be a great assurance. International travelers increasingly prefer hiring a chauffeur driven vehicle to get a drop from the airport to a hotel or a travel destination. Since tourists are unfamiliar with roads, routes and travel destinations, hiring a limousine saves them from lots of hassles, such as losing their way, getting over charged or scammed by local taxi drivers. Hiring a limousine airport service is ideal for those busy corporate clients and holiday travelers for whom time and efficiency is money. Instead of focusing on the road, traffic and parking hassles, business and holiday travelers can use the commute time to send off last minute, time sensitive emails and reminders, make coordination phone calls, etc. Luxury Limousines: These luxury saloon cars (Sedans, SUV, Mercedes) are temperature controlled, equipped with plush leather seats, full bar and ice buckets, vanity mirrors, mirrored ceilings, entertainment units, fiber optic lighting, etc. 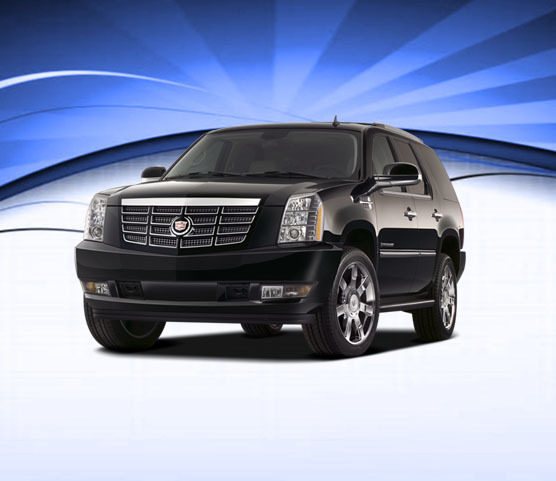 Executive Sedans and SUVs: These practical and sophisticated cars are suitable for executives. Sprinters: Combining comfort as well as space, these are suitable for a group of executives and conference participants traveling together to corporate retreats, events and conferences. Stretch Hummer Lemos: These can accommodate as many as 15 passengers. Party Buses: These are great for office parties, tours and excursions and can accommodate 16 to 40 people. Transportation Vans and Shuttle Services: These spacious vans are designed for airport drop offs with family members and traveler groups and come with ample luggage space. Better planning helps you find the best limos service in terms of availability, price and features. Summers and holidays are peak seasons for travel, proms, graduations and weddings; hence, most limousine services are booked months in advance. Don’t assume that a particular type of car is available for you immediately on your request. Likewise, in case of hiring a limousine airport service, contact your preferable service as soon as your travel dates are final so that you can avoid disappointments. Small and relatively unknown executive car service providers can be cheaper but not very reliable in terms of services. Some of these issues can be: delays in arrival, mechanical breakdowns, or shabbily maintained vehicles of older models, and nonprofessional chauffeurs. On the other hand, an established and reputable company will have an array of vehicle options for you to choose from. It will also have a network of efficient customer care and reservation staff, capable on-site coordinators, logistics team, and professional and courteous chauffeurs, all of whom would work in sync to deliver you top notch and timely executive car service and limo airport service. 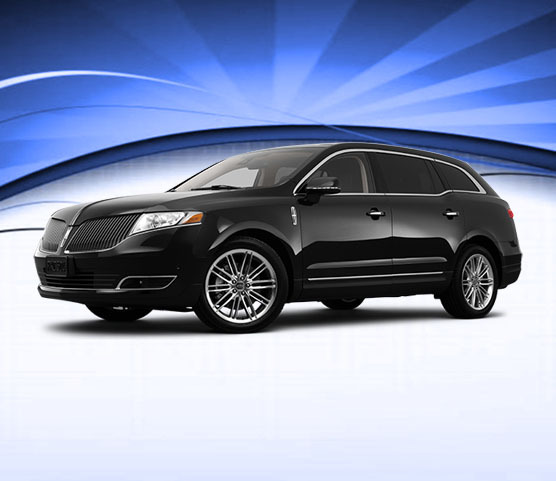 Car Service DC is a leading limo service provider in Washington. It has a wide range of solutions for your personal and corporate needs. It has a wide range of vehicle options, from the most luxurious to the most economical ones. An hourly rate is based on the estimated travel time between two destinations. On the other hand, a flat rate means travel between destinations (pick up and drop off points) irrespective of the travel time. For time specific events such as weddings, dances, restaurants, local, special events, it is better to go for hourly rates than a flat fee. Additional charges include tolls, parking, airport permits, travel fees and overnight accommodations, wherever applicable. Any stops and extra hours during the travel are also billable. It is customary to include the tip of the chauffeur in your expense estimate (15-20% of the base price). In case of damage to any item such as rips and tears, spillage, or staining to the inside of the limousine or hired vehicle during renting, the customer may be required to pay extra cleaning, servicing and repair charges. The perks and options usually included in a package helps you in making a sound limousine rental decision, so be sure to ask. Some limo services offer complimentary services such as daily newspaper, bottled water, etc, where as champagne and beverages and other food items in the bar can be billable. Make sure you understand what is free and what is billable in order to avoid nasty surprises in your final bill. Understand and articulate your needs to your limo service provider clearly in order to get the best deal. Don’t pay for features you won’t need or for short hourly rentals. You can stock your own beverage and food in a limousine that has an iced bucket and save up on your bill. However, you should be willing to pay extra for premium services if you want a good commute experience for yourself, family or clients, or make a good impression. Limo services in Washington and other major cities are required to have insurance covered vehicles. Some established ones even provide insurance coverage to the driver as well as the passengers in the event of accidents. However, smaller limos service providers don’t offer insurance coverage in order to cut corners. You shouldn’t do the same just for the sake of cheaper price, as it means compromising your security and of your clients and loved ones. Likewise, it’s a good idea to ask and get the assurance that the vehicle you are hiring has proper and up-to-date license, and the chauffeur has a proper permit and license. All in all, the benefits of opting for a Limos service for your ground transportation needs outweigh the hiring costs. Instead of ride sharing and cab chasing, choose to arrive in style at meetings with an executive car service. Opt for a limousine airport service, when you need a safe and timely commute to the airport. Book a limos service for your wife as a memorable anniversary gift for a shopping trip around the town or a day at the spa. Treat your international clients to a day of sightseeing in the capital city through a limo service in Washington. If you are looking for limo services in Washington for an event or corporate needs then you have several options to choose from. 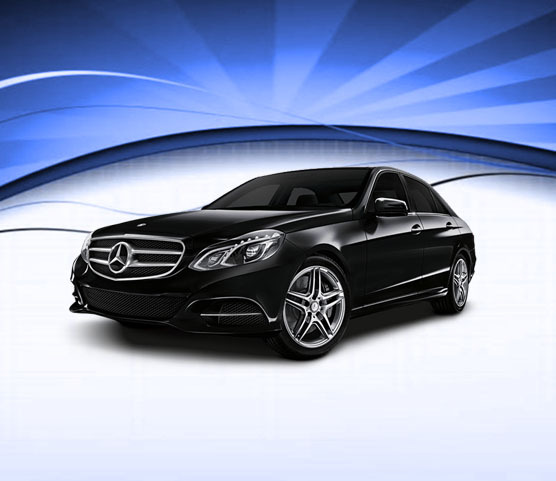 Car Service DC is reputable name in limos service in Washington.